Happy Fall, everyone! Yesterday marked the official start of my favorite season and I am so excited to see what it has in store for me this year. In true fall fashion, the first full day of the season started off quite chilly and although I love the cold weather, I did not dress for it this morning. Brrrr. So for our Mountain State Monday, I’m going to take you back to warmer times — and the grand opening of the Summersville Lake Retreat Lighthouse! 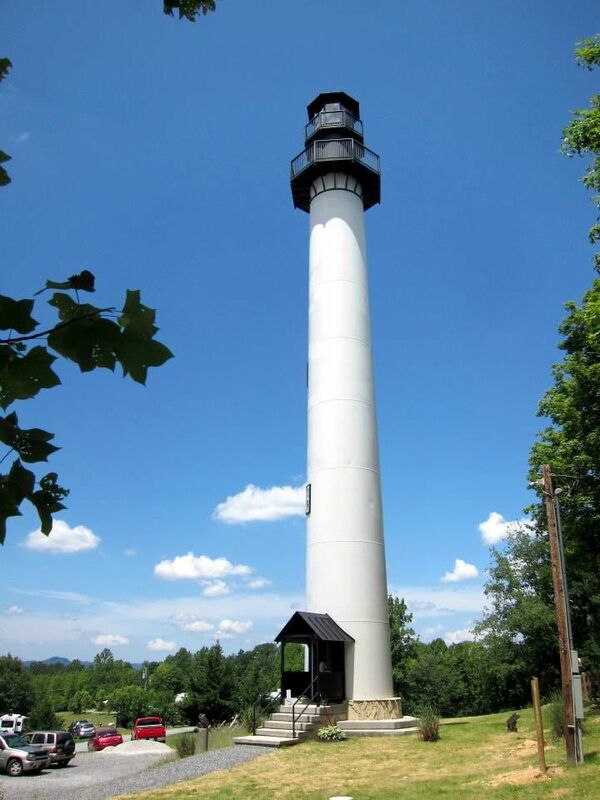 To celebrate West Virginia’s 150th Birthday, the Summersville Lake Retreat Lighthouse opened to the public on June 20, 2013. It is West Virginia’s only lighthouse and stands 104 feet tall with a top elevation of 2,164 feet above sea level. 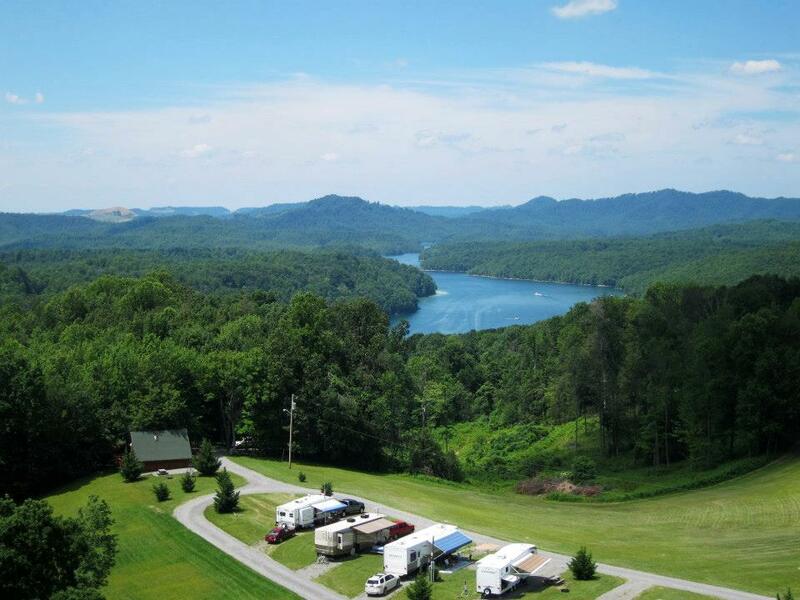 A steep 122 steps can take you to the top for a beautiful 360 degree view of Summersville Lake and surrounding areas. Aside from being the only lighthouse in a land-locked state, what really makes the lighthouse unique is that it is made from a “damaged” wind turbine base from a nearby wind farm in Greenbrier County. Jon and I visited the grand opening event on West Virginia Day back in June and I must say, the lighthouse and its views are really gorgeous! On one side you have a view of the lake and on the other, you have Route 19 and farms. It’s an odd combination, but for $7, it’s a cheap way to see an aerial view of the land and it’s a great stop for families. The lighthouse is still open daily through the end of October, so plan a trip today! For more information on the Summersville Lake Retreat’s Lighthouse, visit http://summersvillelakeretreat.com/.